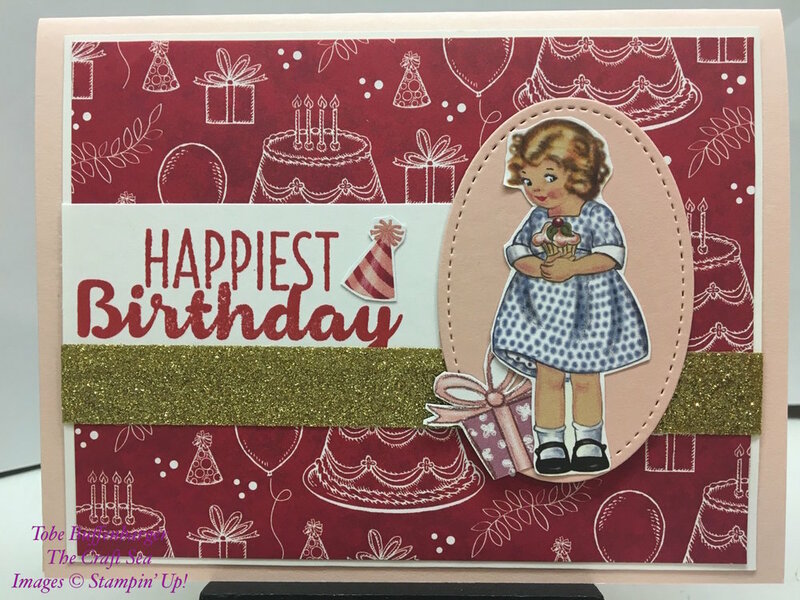 Today's post is another cute birthday card inspired by the Birthday Memories DSP pack. I fussy cut this cute little cupcake girl to use as my main image. From there, I added some great DSP as a background, and little frame for my cupcake girl, and a sweet birthday sentiment. My card was still missing something so I added some great gold glitter washi tape. Who doesn't love a bit of sparkle on their card? Finally, I cut out a present and a cute party hat. Such a cute little card.